Association between thrombophilia and ischemic stroke: when is work-up for hypercoagulable state indicated? Hypercoagulable state or thrombophilia are disorders of the hemostatic mechanisms that increases the risk of thrombosis, both arterial and venous . Inherited thrombophilia is a well-recognized risk factor for venous thrombosis, but its association with arterial thrombosis has not been clearly established. There are also various acquired conditions that are associated with hypercoagulable state. Case-control studies and meta-analyses investigating thrombophilia and ischemic stroke have not been consistent . Despite lack of strong evidence in literature many clinicians order these tests as part of ischemic stroke work-up . We report a case of cryptogenic stroke and review the challenges associated with the hypercoagulable state in such common clinical scenarios. We also review the evidence-based recommendations about the use of coagulation tests in the work-up for ischemic stroke. A 56 year-old right-handed male presented with acute onset of loss of vision in his left eye associated with a posterior headache. He denied any weakness, abnormal or loss of sensation, speech disturbance or scalp tenderness. He had no previous history of migraine headaches. He past medical history was only significant for hyperlipidemia treated with fenofibrate and newly diagnosed obstructive sleep apnea. He had successfully quit smoking tobacco about 30 years ago. There was no known personal or family history of stroke or thromboembolic disease. He did endorse family history of thyroid cancer in two of his siblings. Physical examination was only remarkable for uncontrolled blood pressure at 184/104 and left superior quadrantanopia on neurological assessment. Other cranial nerve, peripheral motor and sensation testing as well as gait assessment were intact. Admission laboratories including CBC, CMP and ESR were within normal limits. Hyper-acute computer tomography (CT) of brain demonstrated no acute intracranial hemorrhage and subsequent MRI head demonstrated a 3.6 cm area of acute ischemia involving the right occipital and temporal occipital junction (Figure 1). Electrocardiogram showed sinus rhythm and transthoracic echocardiogram with bubble study demonstrated preserved ejection fraction without evidence of patent foramen ovale or valvular abnormalities. His hemoglobin A1C was 4.5% and low-density lipoprotein was 117. Neurology was consulted with recommendations for the following investigations. CT angiogram of head and neck demonstrated mild bilateral carotid origin plaque. A subsequent 30-day loop recorder showed no evidence of arrhythmia and an implantable loop recorder was subsequently placed. Given his extensive work up without any explanation for his stroke etiology, a hypercoagulable evaluation was undertaken. All coagulation testing returned within normal except for slightly above the upper limit of normal homocysteine levels (Table 1). He was discharged on aspirin, clopidrogel along with lisinopril for blood pressure control with recommendation to abstain from driving and outpatient Neurology follow up. Figure 1. MRI brain with and without contrast showing a 3.6 cm area of acute ischemia involving the right occipital and temporal occipital junction. Table 1. Summary of patient’s hypercoagulable evaluation with normal reference ranges. Ischemic stroke is commonly due to cardioembolism, large vessel atherothromboembolism and small vessel occlusive disease. Cryptogenic stroke constitutes approximately 40% of ischemic stroke and is defined as brain infarction that is not attributable to the sources above despite extensive vascular, cardiac, and serologic evaluation . These may be due to insufficient tests ordered, tests not performed in due time or causes are truly uncertain [5,6]. Evidence has shown that some patients with cryptogenic stroke may have underlying hypercoagulable state [7,8]. Hypercoagulable state can be divided into inherited versus acquired conditions. Common conditions associated with hypercoagulable states are shown in Table 2. In a study, the probabilities of coagulation defects in ischemic stroke patients were found to be low: 3% in lupus anticoagulant (8% in patients aged <50 years), 17% in anticardiolipin antibodies (21% in patients aged <50 years), 7% in activated protein C resistant/Factor V Leiden (11% in patients aged <50 years) and 4.5% in prothrombin mutation (5.7% in patients aged <50 years) . The prevalence of inherited thrombophilia in ischemic stroke patients was reported to be similar to general population, with ethnic differences in the markers [9,10]. On the other hand, few studies suggested association between increased homocysteine level and ischemic stroke caused by large-artery atherosclerosis and small-artery disease [11,12]. In a single center study, it was found that 31% of patients with ischemic stroke were tested for coagulopathies, and 29% of them were unlikely to alter therapeutic decisions . Widespread testing can lead to incidental findings of abnormalities, some of which are difficult to interpret in the setting of acute ischemic events or anticoagulation. There is also added cost of diagnostic testing, leading to unnecessary anticoagulation and also generate anxiety in both patients and families . Of note, the functional assays for Protein C, Protein S and AT deficiency are affected by acute thrombosis, acute phase reactant and in the setting of anticoagulation therefore the assays should be repeated at least 3 months after the acute thrombotic event . Inherited thrombophilia is associated with unprovoked venous thromboembolism (VTE) but the evidence is conflicting for arterial thrombosis, as shown in an extensive review article by Morris et al. . The cutoff age to define young and old is not clearly delineated, but ischemic stroke occurring in patients younger than 44 years of age is considered young . Ischemic stroke secondary to an underlying hypercoagulable disorder is more common in younger patients (10-15%), but cardioembolism remains the most common etiology . One study found that younger age is a predictor for ordering specialized coagulation tests . Due to the inconsistent results, testing for inherited thrombophilia in the setting of acute ischemic stroke is not recommended unless there is presence of history of unprovoked VTE, history of an unprovoked VTE, VTE in an unusual location, family history of a VTE, thrombosis at a young age (younger than 45), and frequent thrombotic recurrences . Antiphospholipid syndrome was found to be a major risk factor for arterial thrombotic events in young women, with a higher risk in patients tested positive for lupus anticoagulant compared to anticardiolipin antibodies, although the latter is less common . Rahemtullah et al. reviewed 14 prospective stroke or TIA studies, 8 of which identified a significant finding in association with an antiphospholipid antibody . Of note these antibodies can fluctuate over time, therefore the titers should be recheck later to confirm the diagnosis . In the study by Cocho et al., 2.1% of patients with acute ischemic stroke were found to have occult malignancy (OM), and 5.3% for patients with cryptogenic stroke. Patients with and without OM had fibrinogen level of 572 mg/dL versus 457 mg/dL (P = .045) and CRP level of 17.7 mg/L versus 4.8 mg/L (P = .001) respectively. Another study by Kim et al. 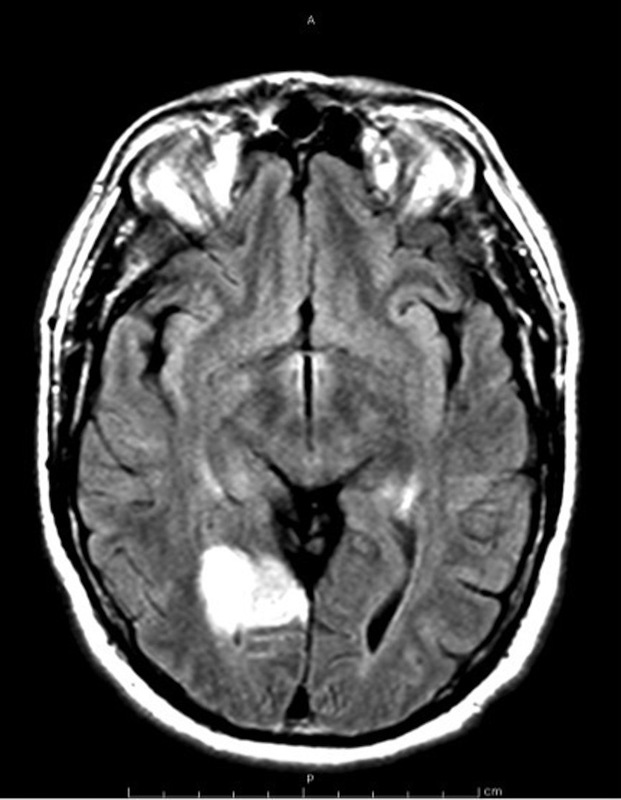 found a 20.4% of patients with cryptogenic stroke had active cancer at the time of stroke. The common sites were lung, lymphoma, hepatobiliary and gastrointestinal [17,18]. Clues to OM in these patients include high D-dimer levels (odd ratio 1.11 per 1 µg/mL increase) and multiple ischemic lesions in multiple vascular territories as shown by two retrospective studies . Therefore, patients with acute ischemic stroke should be encouraged to undergo age appropriate screening for cancer. If there are any signs or symptoms suggestive of an occult malignancy (OM) with no identifiable cause for ischemic stroke and elevated D-dimer, there should be low threshold for appropriate work-up [17,19]. In patients who have a family history of specific cancer type, screening for the respective cancer can be considered. Additionally, any obvious abnormalities in complete blood count (CBC), such as persistent high platelet count, very high hematocrit and hemoglobin, should be further evaluated for myeloproliferative neoplasms such as essential thrombocytosis (ET) and polycythemia vera (PV). Ischemic stroke constitutes 30%-40% of all thrombotic events in PV patients . In our patient, work-up for thrombophilia was performed secondary to his relatively young age with the presence of hyperlipidemia that is treated with fenofibrate with no clear explanation for the cause of his stroke. His homocysteine level was slightly elevated, but there is no clear evidence that lowering homocysteine level reduces the risk of subsequent stroke . He did not exhibit any symptoms and signs of lupus therefore antiphospholipid titers were not performed. Symptoms and signs for occult malignancy were negative, however we recommended that he should at least undergo age appropriate cancer screening with colonoscopy. Rahemtullah A, Cott EMV (2009) Hypercoagulation Testing in Ischemic Stroke [Internet]. Archives of Pathology & Laboratory Medicine Online. [cited 2015 Sep 3]. ©2016Loh KP.This is an open-access article distributed under the terms of the Creative Commons Attribution License, which permits unrestricted use, distribution, and reproduction in any medium, provided the original author and source are credited. Division of Hematology and Oncology, Baystate Medical Center/Tufts University, 376 Birnie Avenue, Springfield, MA, USA.